I don’t know about you, but I cannot function until I have had my morning cup of coffee. Most days, I have two little boys demanding a snack. Not breakfast, they get that at daycare. But you know that they need a pre breakfast pick me up 😉 Usually I am doing everything in my power just to get the coffee brewing so I can wake up and do all of the mom and business woman things! And while I have always loved my expensive coffee shop lattes, I’ll be real with you all. Expensive daily novelties like that are the first thing to go when you have to adult. I have a mortgage, child care, and infinite toddler snacks to pay for. I love coffee, but it has been one of the areas I have cut back on. 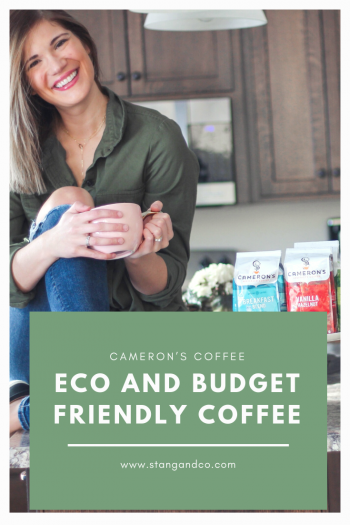 In expense, not consumption, because #momlife Luckily, I recently discovered Cameron’s Coffee, and am able to treat myself at home without sacrificing on flavor! 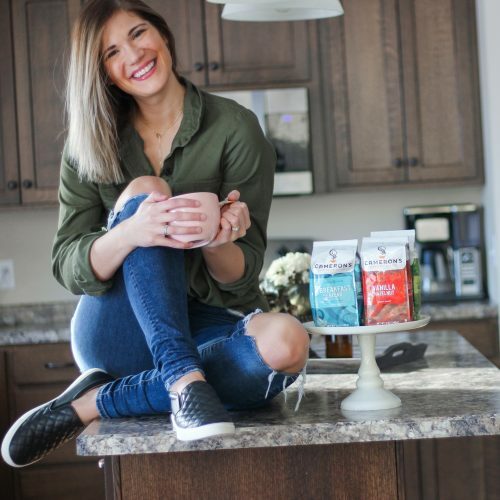 Cameron’s Coffee is a Minnesota based coffee company. What makes them different from the rest is that they do not have shops and are sold in stores only. Doing this allows them to keep costs down, while keeping quality and flavor high. You have likely seen their brightly colored packaging on shelves in your local grocery store or Target. And while I love their basic flavors like breakfast blend, their different and delicious flavors are the BOMB.com. I realize I just sounded like a high school girl circa 2008, but the flavors really are THAT good. Cinnamon Sugar Cookie is my absolute favorite, but there are dozens of varieties, from Vanilla Hazelnut to Sea Salt Caramel. Toasted Southern Pecan is next on my list, because yum. 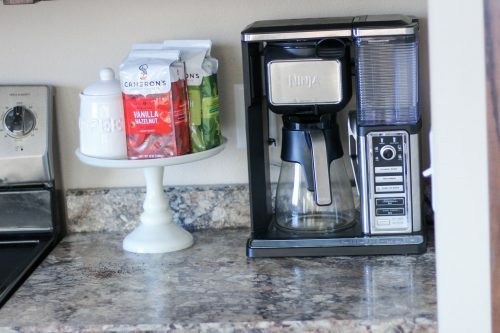 As you all may know from past posts, I switched out my individual cup brewer for a ninja coffee bar last year. I can honestly say I don’t ever see myself going back, because I love brewing multiple cups at a time. 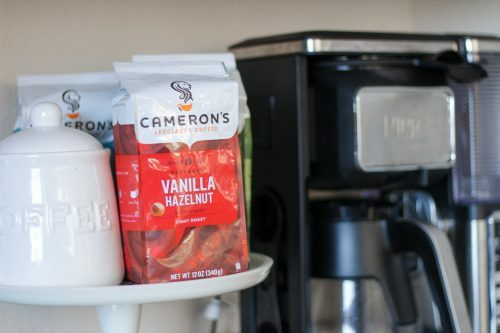 But if single serve cups are your jam, Cameron’s Coffee has pods, too! Trust me when I say that I know there are a LOT of coffee options out there. What sets Cameron’s apart is their value combined with incredibly high quality. I am looking forward to sharing more about Cameron’s in the coming months. 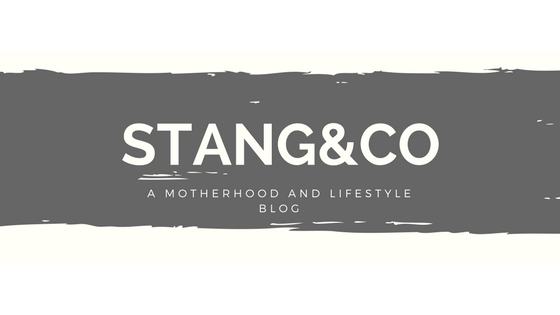 Be on the lookout for more blog posts, and be sure to follow along for live reviews in my stories over on my Instagram! Cheers!